There are few paper shredders in the world that can rip an A4 piece of paper into 2,000 pieces, and come with functions like SilentShred, SafeSense, and “100% Jam Proof”—and most that do have the name “Fellowes” printed on top. But consumers may soon be able to buy, say, the deluxe Powershred C-480Cx, without the Fellowes brand, because the company’s entire business in China has been stolen by its joint venture partner. Over 1,600 workers at the joint venture facility in China turned up one day in August last year to find that the factory gates were locked, trucks had blockaded the entrances, and a group of rough-and-ready enforcers were telling them to move on. And some days later, in the dead of night, a truck entered the facility and stole some of the million-dollar manufacturing tools used to make the shredders, some of which weigh several tons. The joint venture partner “proceeded to destroy our business,” according to James Fellowes, the CEO, at a Congressional Hearing on March 31. Fellowes’ paper shredders are a US$168 million business, and when the company was taken over in China it lost US$100 million, according to Fellowes. James Fellowes is the third generation owner, a descendant of Harry Fellowes who started the company in 1917 with $50 making Banker’s Boxes. Before the recent takeover in China the company employed 2,700 workers in 16 countries, including 625 in the U.S. It introduced its patented line of paper shredders in 1982, and in an attempt to cut costs it was an early entrant to the China manufacturing scene. Fellowes, the man and the company, won’t talk about the case except for a public Congressional testimony. But The Epoch Times spoke with a number of people familiar with the matter, under condition of anonymity because of political sensitivities involved. In 1998 a former Fellowes employee struck a deal with a company called Jinsen, in Changzhou, China, to manufacture paper shredders. Later a second business, called Jinxun, was formed. In the beginning they made a cheaper line of shredders. Both companies are owned by the Zhou family, specifically the two brothers Zhou Liqun and Zhou Licheng. The Zhou’s are well connected politically. Business went well, and in 2006, meaning to expand the enterprise in China, Fellowes established a joint venture with Jiangsu Shinri Machinery Co., Ltd., or just “Shinri,” in Changzhou. Shinri is owned by the Zhou family, part of the New United Group conglomerate, also owned by the Zhou family. Shinri is one of the largest machine tool manufacturers in China, and the conglomerate also includes companies like Jiangsu Xinyu-Wind Power Equipment Co., Ltd., one of the largest domestic producers of wind power equipment. Joint ventures are one of the ways that foreign firms can do business in China, often understood as the price of market entry. The Chinese side typically provides the land, labor, and local contacts, while the foreigners provide the tools and know-how. The two manufacturers, Jinsen and Jinxun, would continue churning out shredders with the Fellowes’ name, using Fellowes’ proprietary machinery, while Fellowes controlled both those companies because it appointed the management, according to the terms of the joint venture agreements. Things went smoothly for three years. 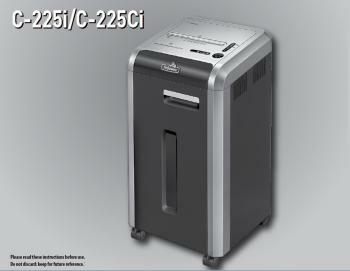 High-quality shredders flowed out of Changzhou and money flowed into Illinois. The joint venture also stipulated the generous remuneration of over 100 percent on investment, every year, paid on time to Shinri, according to people familiar with the details of the contract. At the height of the enterprise Jinsen was making tens of millions of dollars and was allowed to use new product designs and technologies for free. Over 1,600 people were employed. Borough President Markowitz stood with elected officials, seniors and New York residents to protest the closure of many senior and community centers. Libby Trickett flashed her trade mark smile and swept the field to take gold in the women's 100m butterfly at the Water Cube in Beijing.